Don’t get left without power. Monitor the health of your 12V car battery and detect potential issues before they disrupt your life. Picture this: you’re running late. You jump in the car, turn the key in the ignition – and nothing happens. The battery is dead, without warning. 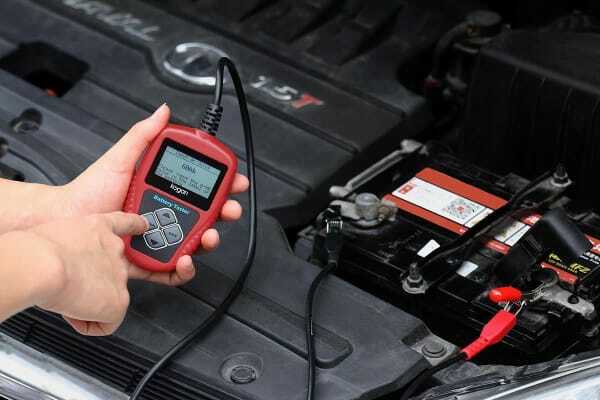 Help prevent situations like these by monitoring battery problems with this handy 12V Car Battery Analyser. Test batteries in or out of your vehicle, and view the results on an easy to read LCD display that shows you the voltage and status (Good Battery, Good Recharge, Charge Retest, Bad Cell and Replace). 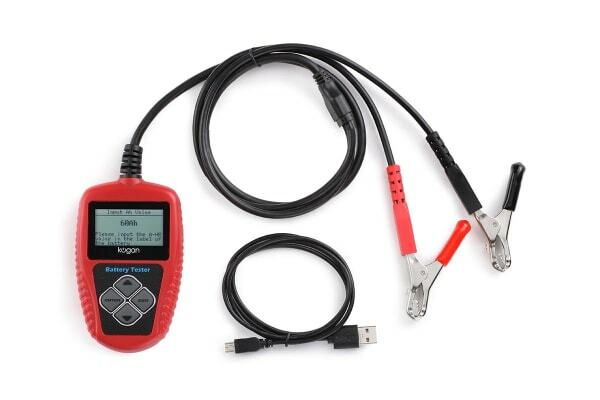 The test results are printable, so you can take them to your mechanic for a quick repair! 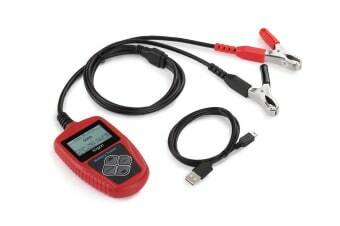 The 12V Car Battery Analyser supports battery standards including JIS, DIN, IEC, EN, SAE, CA, CCA, GB, BCI, and MCA. Please note: this device is only an indicator and cannot replace a check by a licensed mechanic.